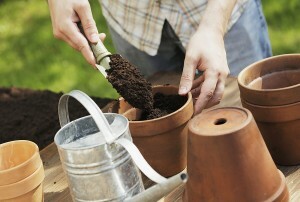 Choose a good potting mix to use. Know how much drainage is needed for that particular orchid type. Before you begin to pot your orchids, it is essential to determine which type of pots you want to use. The most commonly used pots for planting orchids are made of clear plastic. It allows light to reach the roots as well as lets you monitor the growth of the roots. For certain types of orchids, net pots and wooden pots are also used as they both allow great drainage and ample room for root growth. Orchids need to be repotted frequently as well. Different types of orchids require repotting at different intervals, some need to be repotted every year, whereas some kinds can do as long as three years between repotting. Side note: Visit http://orchidcarezone.com/dendrobiumguide for more tips on growing these wonderful plants. The final thing you need to keep in mind is to provide the necessary nutrients for growth to your orchids. Look for a balanced orchid fertilizer which contains equal parts of nitrogen, phosphorus and potassium plus micro-nutrients. Buy a liquid fertilizer which has 10-10-10 or 20-20-20 on the label and apply if after watering the orchids for optimal growth. If the orchid fertilizing product you are using says to apply it once a week, water the substance down by 50 percent. Also, about one time per month, water the orchids without any orchid fertilizer to clean out any built up minerals and residue. Do you have a great trick for potting your orchids? Please leave a comment below and tell us about it, and please remember to tell us what types of orchids you have. We have specific orchid type articles to help you with your different orchid types, but just to get you started, here are vanda potting tips. my orchids r phalaenopsis.1 tag says to water 10-15 days.other tag says 20-25 days? my plants have what looks like roots growing out of the main stems on the leaves. do I need to transplant? I was repotting my Catalya orchid and three of the leaves came off of the main group of leaves. The three that came off do not have any roots attached. Will they be any good to replant? I have them in water only. Isn’t it important that the best fertilizers are “urea free”?